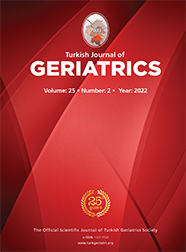 Gazi Üniversitesi Tıp Fakültesi Anesteziyoloji ve Reanimasyon Anabilim Dalı ANKARA Introduction: Single dose and continuous spinal anesthesia with levobupivacaine were compared regarding quality of anesthesia, hemodynamic parameters, and potential complications in geriatric patients scheduled for transurethral resection. Materials and Method: Sixty geriatric patients scheduled for transurethral resection were divided into two groups as single dose spinal anesthesia (n=30) and continuous spinal anesthesia (n=30). The single dose anesthesia group was administered 12.5 mg isobaric levobupivacaine (0.5%), and the continuous spinal anesthesia group was administered isobaric levobupivacaine (0.5%) at 2.5 mg doses intrathecaly subsequent to a starting dose of 5 mg, until the T10 level of analgesia was achieved. Results: The amount of levobupivacaine was lower in the continuous spinal anesthesia group (p<0.0001). The median maximum level of sensory block was T8 and T9 in the single and continuous spinal anesthesia group respectively. The time to onset of sensory block at T10 and time to achieve maximum sensory block were longer in the continuous spinal anesthesia group (p<0.0001). During surgery, there was a decrease in heart rate starting from the 25th min in the single dose group and the 40th min in the continuous spinal anesthesia group (p<0.05). The systolic arterial pressure between 15 and 40 minutes was lower in the single dose group (p<0.05) than control values. Slower onset of sensory block in the continuous spinal anesthesia group prevented the development of hypotension. Paresthesia during intervention was significantly higher in the continuous spinal anesthesia group (p<0.05).